Tonight is our Bible study night, but in light of our doctor appointment tomorrow, study time is being turned into prayer time. Our regular Bible study group along with another study group of our friends and our church leaders will be meeting together tonight to lift Tim, Baby and me up in prayer. Wherever you are, please join us in prayer around 7pm CST! My mind has been consumed with prayers of healing for this child as well as the many around me who are suffering. 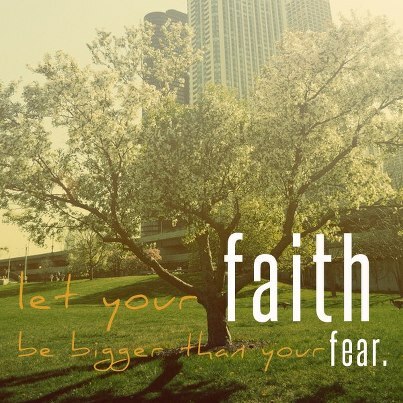 I don’t know how to explain the calmness I feel (most of the time), other than I choose to make my faith bigger than my fear. Once again, I have no idea what God’s plan is for this child or those praying for help and healing, but I will praise Him and give Him glory no matter the outcome. The song “Even If” by Kutless has been in my mind regularly through this struggle. I’ve attached it at the end of this blog and I highly encourage you to listen to it. I’ve also been searching out verses on healing so that I can feel encouragement there and pray for the same. Those verses have led me to verses about children and how His plan for us starts even before conception. The largest list of healing Scriptures I came across included 123 verses, but I wasn’t able to find a firm number on how many verses about healing there are. I’ve included some that stuck out to me, encouraged me or just made me think. I hope you find strength and encouragement in them too! Disclaimer: Please note that these are just one to two verses without the surrounding context. Please always take the time to read the surrounding context so you get the full picture of what God is trying to say to you. Sometimes we misread or miss the true meaning of the verse by not seeing the whole picture. As I said above, in the middle of my writing this blog, we received word that Christie’s battle with cancer has come to an end. God has brought her home through her struggle. I desperately pray for peace for her family and loved ones. I rejoice that she is face to face with our God and I can’t imagine the beautiful experience she is having. I pray that we are not discouraged by this outcome. I pray that we don’t allow doubt to sneak in, that we don’t allow anger to take over. Please God give us comfort and allow our faith in you and your plans to remain strong, especially when the outcome is not what we want. Please keep Christie’s family in your prayers. Please continue to pray for healing for Baby Legan. Please continue to pray for peace and comfort for Tim and me if God’s plan is different from ours. Please listen to this song, it is especially fitting in light of Christie’s journey coming to an end. Previous Post Why Ask Why? I listened to the song and I could hear you singing along in my head. We’re told that God’s ways are a mystery to us and that’s okay, we don’t have to know everything. These past 20 weeks have been an amazing experience for you and Timmy. I have seen your love, faith and trust build, both for God and each other. I know that even if the healing doesn’t come in the way we want it, God will heal this child who has already been such a blessing to so many. This child has allowed you to show your faith in a way that you never dreamed before. I’m very proud of you and am thankful to our God that He trusted me with you. You are and always have been my greatest treasure on this earth. I love you.